One more Christmas card to share this week! 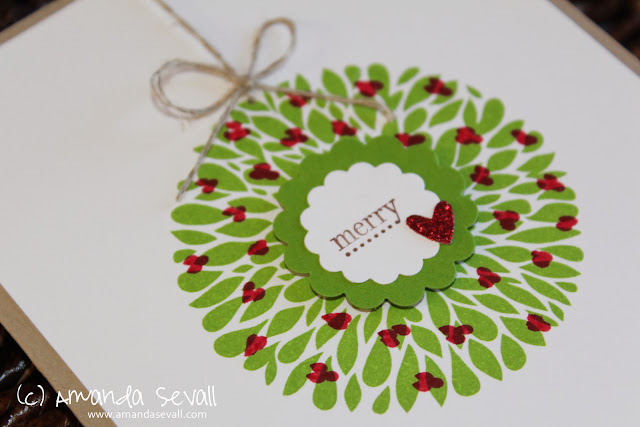 This one uses one of my favorite stamps for the wreath -- the flower from Betsy's Blossoms. So versatile! I LOVE this! 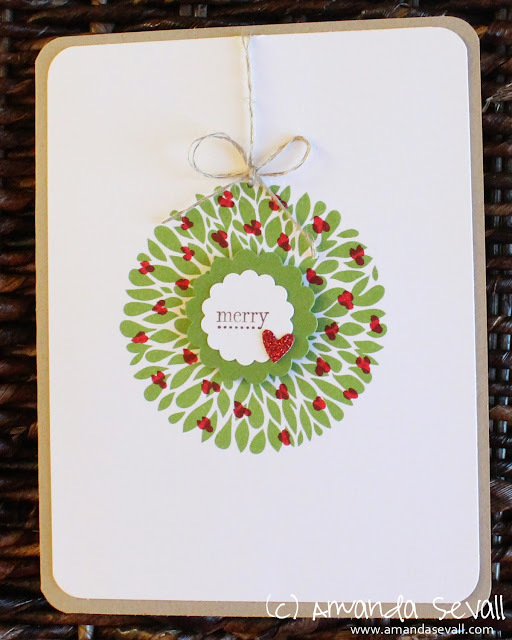 That is such a clever way to make a wreath and I love how simple the design is. I think your a genius! WOW! What a great way to use that burst of flower in Betty's blossoms for a wreath! Thank you for your incredible inspiration!